There is quite a bit of misinformation about the gift tax and gifting in 2010 but it is important to have the real facts about gifting as part of your estate planning. So, if you'ree thinking about making gifts to children, gifts to grandchildren and/or gifts to others, make sure to review this set of Myths and ralities regarding the federal gift tax in 2010. And, because there are so many little, but important, twists keep your eye out for part two of this series. Federal gift tax myths and facts for 2010 by attorney David Frees. Unruh, Turner, Burke and Frees has law offices with Trust and Estate lawyers in Phoenixville, Malvern, and West Chester, Pennsylvnaia. If you would like a telephone consultation or appointment regarding gifting, GRATS, sophisticated estate planning, or regarding asset protection planning, please call David Frees at 610-933-8069. 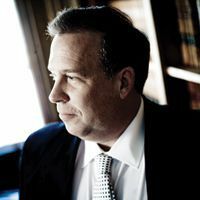 David Frees is a probate, trust and estate lawyer, who focuses his practice in the area of Trusts, Estate, Estate Administration, Asset Protection, and has lawyers in his three offices in Malvern, Phoenixville, and West Chester who also work in the areas of estate planning and elder law. David Frees can be reached at 610-933-8069. If David is not immediately available his assistants will get you an appointment, or a call time. * Please note, that in Pennsylvania, there are no specialties, or sub specialties in the practice of law. Once a lawyer passes the bar, with very few exceptions, they are authorized to practice in any area of the law and anywhere in the state of Pennsylvania. Any reference to David Frees as a probate, trust, estate planning lawyer, are really references to the focus of his practice.